MOSCOW – Nearly 30 questions posed to a roundtable discussion held Friday on boosting the engineered power capacity of the Kalinin Nuclear Power Plant’s No 1 reactor by Bellona remained unanswered by the meeting’s adjournment, raising stark concerns over whether Rosenergoatom, Russia’s nuclear utility, knows what it’s getting itself into. The 28 uncomfortable queries concerned the validity of data furnished by the utility on a proposed experimental power output boost on the VVER-1000 reactor to 104 percent capacity, safety criticisms voices by the International Atomic Energy Agency (IAEA), civil defense in the event of an accident, and other important questions for evaluating the project. 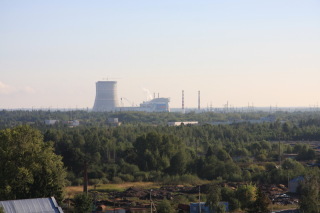 The roundtable discussion fell within the framework of public discussion of materials submitted for the justification of a license to conduct the experimental power boost at the power output of the Kalinin plant’s first reactor to 104 percent of is nominal use, which took place in the Tver Region town of Udomlya – the company town serving the plant. 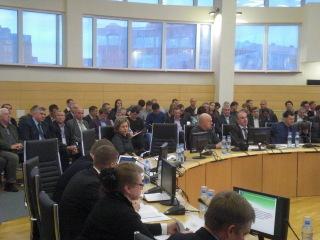 Neither plant nor Rosenergoatom representatives, nor other experts even attempted to respond to the 28 questions posed by the Andrei Ozharovsky or Alexei Shchukin of the Environmental Rights Center (ERC) Bellona, even thought the queries were submitted in full compliance with the discussion’s established rules of order. Ozharovksy and Shchukin have said the plant’s statement in no way corresponds to the reality of how the discussion was handled. The Udomlya roundtable lasted more than four hours, and was attended by about two hundred people, the bulk of whom were employees of a nuclear power plant and its related companies. The notion of operating nuclear reactors beyond their design parameters has long been a subject of criticism from experts and environmentalists. The main difficulty is that the nuclear industry’s suggestion of increasing electricity generation is not forwarded with the hope of increasing energy efficiency or reducing reactor downtime, but rather to increase the reactors’ thermal power. This inevitably leads to heightened loads on the reactor vessel, steam generators, reactor coolant systems as well as a host of other safety elements of nuclear power plant design. These load spikes only increase the likelihood of severe radiological accidents, opponents of the experiment say. The official announcement of the hearing was published in the Kremlin’s official broadsheet mouthpiece, Rossiyskaya Gazeta, as well as on the Udomlya district’s official website (both in Russian). 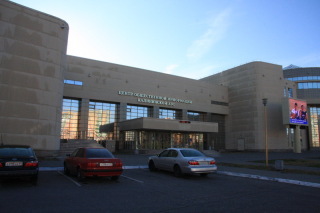 The announcement stated that those wishing to participate must apply in advance either “in person at the public information center of the Kalinin NPP, or by sending a request by email.” The announcement went on to invite the submission of questions within the application to attend, which is what Ozharovsky and Shchukin did. Ozharovsky reported that during the roundtable, he asked Andrei Voitenko, the Kalinin stations information officer who was in charge of collecting the questions via email whether he had received them, and if not, if he should submit them anew. Ozharovsky said he had a hard copy of them in hand. Voitenko told him he’d received the questions and there was no need to submit them again. “When the end of the roundtable was announced and I had not received answers to any of my questions, I approached Voitenko and asked for an explanation,” Ozharovsky said. Ozharovsky said, however, that the question submission regulations don’t provide for later responses to questions. He said that the roundtable question format provided only for answers to be given in public during the hearing. Perhaps the authors just copied and pasted text from the Materials for the Substantiation of a License for the second unit and forgot to change a “2” to a “1.” This error speaks to their negligence and disorganization relative to important licensing documents. Other questions left unanswered concerned a host of contradictions between data presented in various parts of the licensing documents. For instance, one table in the first volume of materials shows that the bulk of radionuclides that would be released into the atmosphere during the experiment are 99.9 percent inert radioactive gases and aerosols. One page later, however, a figure indicates that iodine-131 – not an inert radioactive gas – will be emitted. It’s unclear what’s true. Another table in the first volume states that discharges of tritium in 2005 amounted to 25 terabecquerels during an acceptable reactor reset level of 20 terabecquerels. In the face of this contradiction, the text accompanying the text goes on to state that, “the content of radionuclides in the waste waters during the [reset] period does not exceed the permissible discharges approved for the Kalinin nuclear power plant.” Twenty-five is obviously more than 20. Which is correct? 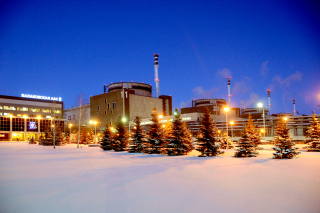 The Materials for the Substantiation of a License provides justifications to increase the power of Kalinin’s reactor 1 – which is a so-called “small series” VVER-1000 type V-338 – that cites data from Moscow’s Kurchatov Institute on the Balakovo NPP’s No 2 reactor, which is a so –called “big series” VVER-1000 type V-320. Bellona’s question about the apples and oranges comparison to V-320s in assessing the environmental impact of design basis accidents in a V-338 is left unexplained. Also left unanswered was the broader question of why the Kalinin NPP considered the impact of so called beyond design basis accidents to design basis accidents at the Balakovo NPP? This is a critical question to understanding the circumstances: If design basis accidents and how to minimize their consequences must be considered when building a nuclear power plant, then for beyond design basis accidents, there are, by definition, no possibilities for minimization. Thus, equating design basis accidents to beyond design basis accidents is an incorrect approach and leads to significant underestimation of radiological fallout. In 2000, the IAEA published a document entitled “Safety issues and their ranking for Small Series VVER-1000 nuclear power plants,” which listed and ranked issues with the safety of VVER-1000 small series reactors, to which category the Kalinin NPP’s first reactor belongs. The document detailed 85 safety issues with the reactor, and provided recommendations on how to address each and improve safety. Bellona asked whether the Kalinin NPP had considered the IAEA recommendations while drafting the licensing materials for running the plant’s No 1 reactor at 104 percent power. Bellona further asked that, if so, how were each of the 85 safety issues resolved. It is, after all, a rare occasion that the IAEA expresses doubts about any nuclear reactor line, so when the agency to come up with 85 separate problems for a single type, it should be taken with more than a grain of salt. The Materials for the Substantiation of a License mention nothing of these problems. 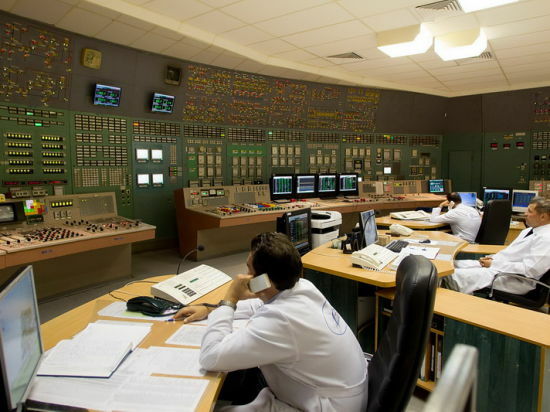 To understand the current state of affairs with the power unit to undergo the experiment, it would be important to know how the Kalinin plant responded to comments from an international organization. This, however, was left unanswered by the roundtable. Several issues relating to radioactive waste management are not at all addressed in the The Materials for the Substantiation of a License. Though they do several times mention the presence of temporary nuclear waste storage good for “the lifespan of the nuclear reactors” that is onsite at the Kalinin nuclear plant. Yet the materials also referred to intentions to extend the engineers lifespan of the plants reactors. Bellona posed the question of how many years of waste – 30, 45, 60 – the onsite waste storage is designed to hold, and what types of waste it is designed to hold. This query, too, went unanswered. The licensing materials repeatedly claim that radioactive waste is either taken off plant premises (or is planned to be). Their first volume makes reference to “protective containers designed for temporary storage of radioactive waste onsite at the NPP and its subsequent transport to long term storage in regional facilities.” The next page goes to reiterate that solid radioactive waste on the plant’s premises will be shipped off to these “regional waste facilities” for long term storage. The committee, however, remained mute on Bellona’s question about how much waste had already been removed from the plant and where it had been sent. The Kaliningrad NPP also has a deep disposal facility that injects radionuclide containing waste into underground aquifers and cooling pools. The licensing materials don’t show any data on this. Questions about the tax rubles that will be spent on the power-boosting project were also evidently deemed too unseemly for public discussion, or any answers at all. The licensing materials’ first volume offers a report on the implementation of a “modernization” program and the installation of “modern equipment” for the pilot power-boosting program. Bellona’s question about the cost of these modernization efforts and other work to bring the reactor up to snuff to run at an expanded capacity were met with a dull silence by the roundtable. But the materials did not specify what adjacent regions – like possibly Novgorod or Moscow – had been beneficiaries of these protection and civil defense plans in the event of a radiological emergency at the power-boosted reactor. It also fails to state what protection plans will be put into effect for residents of Tver Region. Nor does it describe any evacuation plans or how much time it is assumed to take to evacuate populated centers like Udomlya, Vishny Volochek, Torzhok and Bologoye. Bellona asked, but no one would tell. So, on October 17, participants of the Udomlya roundtable to discuss concerns surrounding running the Kalinin nuclear power plant’s No 1 reactor at excessive power didn’t get to hear any answers to 28 questions – or even the questions themselves – posed by Bellona’s Ozharovsky and Shchukin. Bellona will again send the questions to the roundtables organizing committee requesting they be official bound to the meetings minutes, and request an explanation about why they weren’t answered. This article was translated by Charles Digges.